Please know of our thoughts and prayers for those killed and their families in Christchurch. Please let our Passionist family there know they are all in our prayers here in Australia. From St. Anthony in the Fields Family Groups, we send an abundance of love and prayers to you. The recent unfathomable tragedy has kept you close in our hearts. As we are hearing over and over, it is a time for love, not hate and we are sending a mountain of LOVE and prayers to you. Collectively, our hearts cry for all the loving families who are directly affected by such an act of violence and for the entire country which is now in another kind of survival mode. You strong and brave Kiwis have struggled and survived so much, and I know God will help you once more rise above this tragedy. Of all the places in the world, your city, your country, does not deserve this horrendous act of evil. New Zealand is the most beatufiul country in so many ways, but especially in the heart of the kind, caring and friendly people. I also know, without a doubt, that this is how the rest of the world has always seen NZ. After all the shock, devastation, loss of life and aftermath of the 2011 earthquakes, it is difficult to imagine how everyone can come to terms with this recent cowardly attack. But seeing your people reaching out, embracing and loving other human beings has brought many a tear, and we know you will survive once again. You need good Good News and I pray you may find it in all the love and caring being displayed from around the world. I especially feel the bond our Family Groups shining out from around the world, reaching out in solidarity and prayer with you. Now we can, and must, all turn to the most powerful word of our Faith – LOVE. You have our condolences for the senseless violence that struck your nation. Far too often, violence rears its evil head. It is easy to forget how much good there is in the world, when the news is filled with such violence and hatred. So keep faith, keep on with Family Groups, and know our thoughts and prayers are with you. Those of us from Family Groups North Queensland (Townsville)would like to let you know you are in our thoughts and prayers during this sad time. Fr Peter’s spirit is alive and well living with us here connecting us with our fellow FG friends in N Z. To our New Zealand family – Our hearts are saddened and feel the pain that your country is now experiencing. We, as the Mountaintop Pennsylvania Family groups of St. Jude’s parish would like you to know we stand with you in the heartache you feel. Please know that you are in our prayers – and we are with you in spirit. Our condolences in the loss of so many of your countrymen and women – young and old alike. Please accept our deep love & sympathy for your tragic loss of lives of your loved ones in this horrific crime against your people. Please know that through this tragedy, there are many praying for the love and compassion of our Lord Jesus Christ engulf you and give you comfort. Our thoughts & prayers are with the people of Christchurch & their loved ones. Tony & Diana Couper. I, too, have some of the same feelings as you about the shooting tragedy in the city. I was raised in Christchurch, went to St Margaret’s College from age 5 till 17 and lived in Merivale. I am so sorry for the Christchurch people and still find it hard to believe that such an unspeakable action could be carried out in Christchurch of all the peaceful and unlikely places for such an awful event to take place. And also after all the shock and disaster of the earthquakes, the effects of which some of my friends are still coping with. I feel deeply sorry for the Muslims and for all those who mourn them. One more thought; NZ’s PM Jacinta showed an aspect which mirrored an aspect of the best of the population. Her ‘reality’ touched my family in Sydney with her amazing thoughtfulness in everything she did and said. and our prayers are for you and those so deeply affected. We have been deeply affected by the terrible news of the Christchurch events.We are also extremely impressed by the NZ response led by Jacinta in promoting love and tolerance rather than division.We need more love and tolerance in the world today. Our thought and prayers are with all New Zealanders at this time. I spent a few days with my family in Auckland when we heard of the devastating event in your beautiful city. My son in-law who is a real ‘tuffy’, struggled with tears and just could not come to terms with it, “I just never thought it is now in our country too”! Our thoughts and prayers are with all the families, friends and people we have not met in person but who are suffering with loss of life, income and faith I am sure. May each of their tears turn into a good dead for our fellow Muslim community to bring hope trust and peaceful actions when it would be so easy to give into anger and frustration. Our thoughts & prayers are with all of you in NZ, especially our brothers & sisters in Christchurch. More good things happen in the face of adversity. Such a hard and understanably traumatic time for all communities throughout NZ. We are thinking of you and sending you our love prayers, rainbows and recognizing how Fr. Peter would have tried to ease the pain of our brothers and sisters with his compassion and love. We know that he is doing that through all of us. With love, care and our deep sympathy. We Tony and Marlene Hunt from Dalmeny NSW would like to sincerely offer our deepest simplicity to both the Muslim and all the people of New Zealand for the actions that occurred on the 15 March 2019 and pray that this type of event will never happen again. We have been shocked and devastated by the news of the atrocities that have happened in Christchurch last week. I want you to know that we here at Mercy College have been praying for the people of Christchurch who have died and have been injured, and the Muslim Community who is in mourning. We want you to know that we are standing in solidarity with you as ‘people of the book’ and that we are committed to bringing the central Islamic message of peace into the world. Please find attached a prayer we have been praying this week in our community and personal messages of solidarity and support from my Year 12 2 Unit SOR students to your Year 12 SOR students. We are thinking of you as a Muslim Community as you unite in your Friday Prayers today. between peoples of all faiths and none. We hope from this devastating time that as a global community we find peace and solace in one another to unify against hatred. When there are those who threaten peace and harmony in our world, it becomes even more important for all humans to stand together in solidarity regardless of the differences in our cultures and faiths, and focus on the things we have in common, rather than the things that separate us, because in the end: we are the same, and we will stand with you. In difficult times such as these, in which individuals cause for split and discord, the Mercy community pray for the wellbeing of the students at Amity College and the Muslim community, and send our support and regards to the current events within the world, and we stand as one. Despite the hate and ignorance of one individual, we are inspired to believe in the importance of community and the strength of our shared desire for peace. We are united and guided by the teachings of our faiths to see beyond the veil of hatred, and seek unity in recognising the love in our world. We are behind you and stand with you in this time of sadness. You are in our prayers, as we remind ourselves that we are all one community, standing together to overcome this hatred. In a time of immense grief it has never been so important to realise that a small amount of love counteracts the hate that motivated this crime. Our hearts go out to everyone affected and we must stand together in solidarity to spread peace and positivity. In this time of hardship, our hearts go out to you who have felt the impact of acts of ignorance, and hope that we can be instruments of peace to build a future free of bigotry and stand together as one united community of faith, love and understanding. Not only the Amity girls but all practising Muslims are such peaceful and kind hearted people. Not only here at Mercy but all people of all faiths stand with you as a sign of solidarity and as a sign of strength. We will not let ignorance break the bonds that all religions share, we will focus on what brings us together, not what separates us. We pray for you in this time. I am deeply sorry to hear about what happened on Friday. At the time I was probably in class doing my work little did I know what was happening and when I found out I was filled with sorrow and rage for what happened. Please just know that many people are praying for you guys and your recovery. I am so sorry for what has happened to the Islamic community in New Zealand and hope none of your school members and friends and family where lost in the tragic incident at the mosque in Christchurch. The actions of the man who was raised in our country should not have occurred and on behalf of many young Australians we send our deepest sympathy. Just wanted to write to you to say that we here at St Pius X College are with you and will stand with you against this horrible act of violence. We all will work together to make sure that this act will hopefully never happen again, and to stop violence. Hate will never win. We are so sorry for what has happened and send your strength. I hope that you can be resilient and eventually recover from the events of the past week, and stay as positive as you can. I wish you all the best and that you can remain in a good state after the tragic events that have recently occurred. I was really sorry to hear what happened in Christchurch and I hope you all recover from this event and that you are all supporting each other well. These sort of things should never happen. It is so disappointing that a minority of people are just generally bad people, I am so sorry for the actions of those carrying hate. The boys at my school are all praying for your safety and wellbeing. St. Pius X College Chatswood. I am sorry to hear of your suffering. The first thing I heard on Friday was the damage your community had taken from this tragic, horrifying incident. Nobody should be judged, by their beliefs or opinions. We live in a free world, where peace and equality should exist. Violence is not the answer to anything. I feel sorrier than ever to hear this. We are very sorry to hear of these horrible events in New Zealand on Friday. We hope you are able to get through this tough time. You are all in our thoughts and our hearts. As a community we offer our prayers of support and deepest sympathy for all those who have been hurt in Christchurch and the wider Islamic faith. I feel extremely disappointed by the hatred shown by a few and hope that this act of terrorism is reduced through stricter gun laws and better education for those with extremist views. I am deeply sorry and can’t imagine what is going on in your life. I can’t say ‘I know’ but I do know that you are going through a hard time because of what happened recently in Christchurch. Dear all of New Zealand, the friends and families affected, especially all the Muslim community. As according to recent events in New Zealand, it is indescribable how hard it must be for you to be going through this trauma of your lives, while only just getting out of the event of a devastating earthquake in 2011, destroying Christchurch and killing 185 people. It’s absolutely horrific that a man would not just be against the beautiful diversity in New Zealand, but so much so that he would rid 50 people of their lives because of his hatred of those different to him. The many people in the attack that were killed will never be recovered, but the memories of them will stay throughout the centuries with their families and friends. As your closest neighbour, we will support New Zealand in all the ways that we can possibly do so. While I am only a student, I send you my prayers and hopes for healing. To the Muslim community at Amity College Preston and to our neighbours in New Zealand. “We are all the same. We are filled with love and goodness. Man or woman, adult or child, of one God – we are all the same. We all want to be loved and respected. Peace and forgiveness is the only way. Only together – we can make our world better”. As my letter towards people of the Muslim faith as a student from St Pius X College, I pray for your safety, mentally and physically. The events that have taken result, really are terrifying, especially how murder on such a scale was committed to a religion, in particular those of the Muslim faith. Studying religion, I find it shocking how one can be ignorant to understanding the beliefs of another and generalise others’ qualities. As a result of what has happened in Christchurch, I hope adherents of the Muslim faith will please not be scared to live out their daily lives true to their own religion. For one to be living in fear and not feeling safe, because of their religion is horrifying to me. Please be comforted by the fact that we are all praying for you and thinking about you at this pressing time. Our thoughts are with everyone of Muslim faith and we prayer to our God and Allah that he watches over you all through this troubling time. My mind and prayers are with you and your families through this time of mourning. I pray that anyone that has passed may rest in peace and their families will remember the good times they have had in their wonderful but short lives. I pray for all the wounded that they may they make a quick recovery and go back to their families. 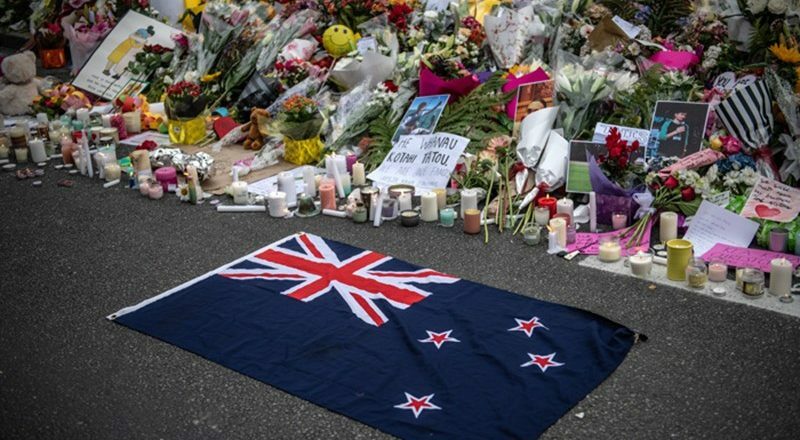 All of New Zealand would be praying for everyone affected by these attacks that they will remember the good times before the attack occurred. It was an unthoughtful and act. The shooter will receive justice as to what he has done. Not just harming the Muslims and the families in Christchurch, but by hurting all Muslims and people of different religions around the world; filling them with fear when all they want to do is pray and communicate with God. On Friday March 15 we gathered as school to celebrate National Day of Action Against Bullying and Violence. Through reflection, prayers, forum discussion and music we articulated our commitment to create a society that is inclusive, peaceful and respectful for all. Boys, staff and special guests inspired us to become better humans, who act justly and serve others. Words such as love, kindness, inclusivity, courage, thoughtfulness, action, empathy, respect, understanding and education rang out across our outdoor assembly. Later on Friday our entire College community fell silent as news from Christchurch filtered through our radio, television and online news bulletins. Each ideal we had celebrated just hours earlier had been challenged in the most traumatic way. As Australian Christians many of us felt utterly ashamed by this act of terrorism. 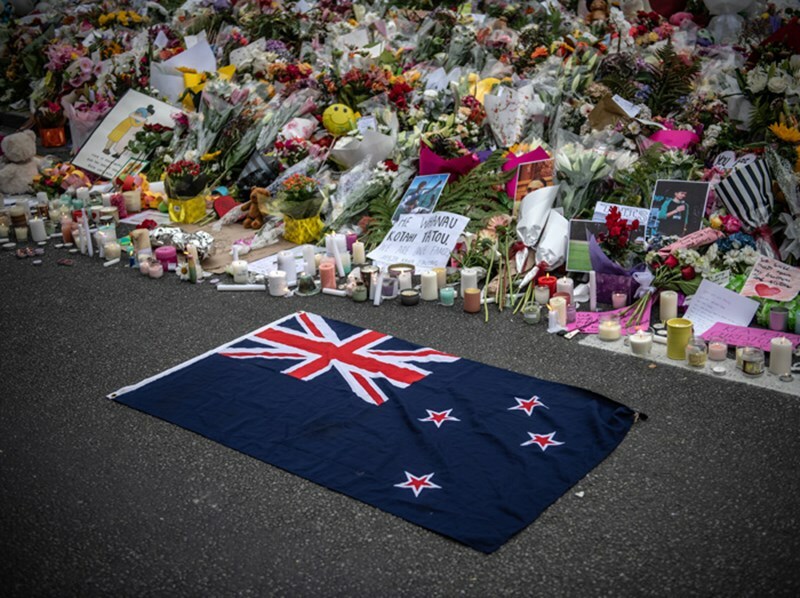 As the hours followed we saw the response of the New Zealand Government, the collective efforts of emergency services, the world-wide acts of kindness and incredible response of those at the scene of injury. People of all denominations and countries pouring out their love and support to the Islamic Community and New Zealand community. We felt comfort hearing the discussions to restrict gun laws and reduce the threat of future opportunities for violence. We write knowing that our words do not reverse what happened on March 15. We write to say that we are all bearing witness to your grief and collectively so sorry for what has happened. We pray that the children and families in your school know that the acts of a few are condemned by many. Australian children all deserve to worship and live freely. Please share with your children the love and respect we have for them. Hate has no place in our world. We are all one. As a College we will be returning again and again to those values expressed in our assembly, we are committed to raising young people who are educated and not ignorant, who are loved and not insecure. May all these wonderful children in our school and yours, emerge to walk a shared path, free from violence. With love, hope and support. My prayers go to all the people killed and injured in this attack. As a community our school is praying for your community.